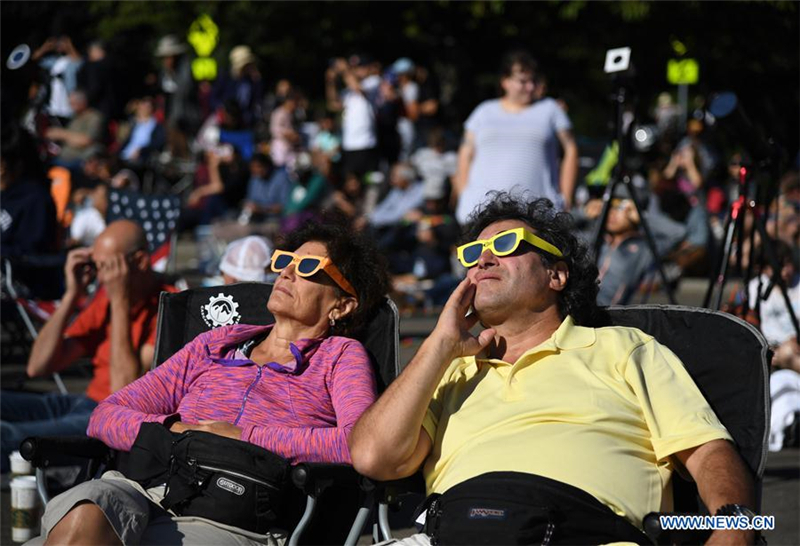 SALEM, the United States - A once-in-a-century total solar eclipse is spanning the continental United States on Monday, creating a 70-mile-wide (112-kilometer-wide) path of totality stretching from Oregon in the Pacific Northwest to South Carolina on the East Coast. 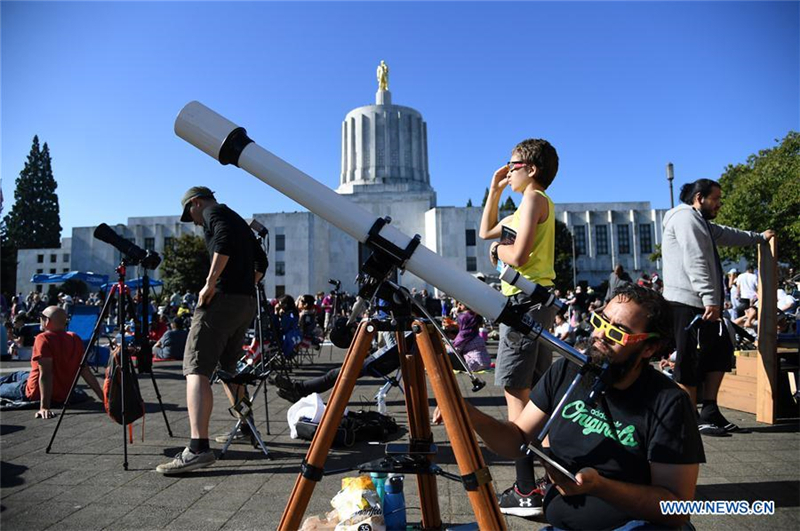 The rare astronomical event, known as Great American Eclipse, arrived at about 1:16 p.m. EDT at Salem, Oregon, with the sun's disk being seen completely blocked by the moon darking the sky for over two minutes. In the next two hours, it will cross 13 more U.S. states, including Idaho, Montana, Wyoming, Nebraska, Kansas, Iowa, Missouri, Illinois, Kentucky, Tennessee, Georgia, North Carolina and finally South Carolina. Observers outside the path of totality will see only a partial solar eclipse where the moon covers part of the sun's disk. The U.S. mainland hasn't seen a total solar eclipse since 1979, when it swept a handful of northwestern states. The country's last total solar eclipse stretching from coast to coast took place in 1918. This time, U.S. space agency NASA provided a live webcast of the event, using 11 spacecraft, at least three NASA aircraft and more than 50 high-altitude balloons. The event marked a rare opportunity to study our sun, solar system, and Earth. It will also allow the lower parts of the sun's atmosphere, or corona, to be seen in a way that cannot completely be replicated by current human-made instruments. "As a source of light and heat for life on Earth, scientists want to understand how our sun works, why it changes, and how these changes influence life on Earth," NASA said. 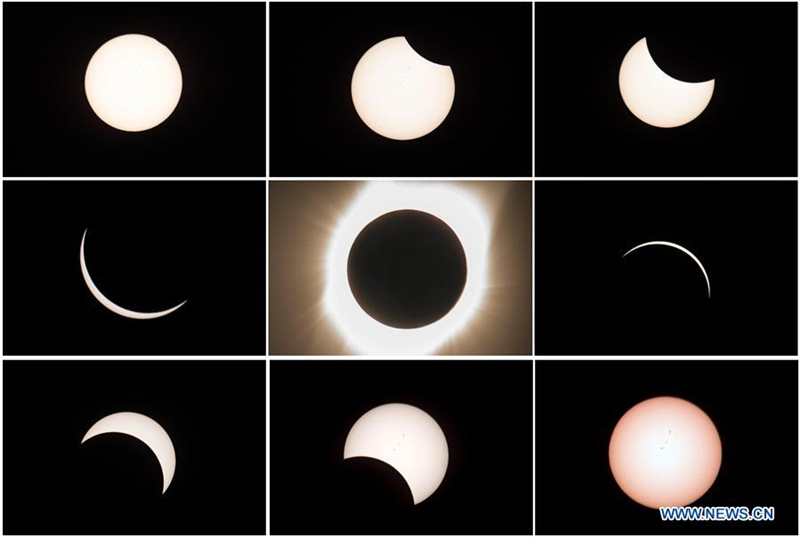 "The sudden blocking of the sun during an eclipse reduces the light and changes the temperature on the ground, creating conditions that can affect local environmental conditions and animal behavior." Astronauts aboard the International Space Station are expected to have a partial view of the solar eclipse three times. "My first solar eclipse from space... We're ready," Italian astronaut Paolo Nespoli tweeted from the orbiting laboratory. 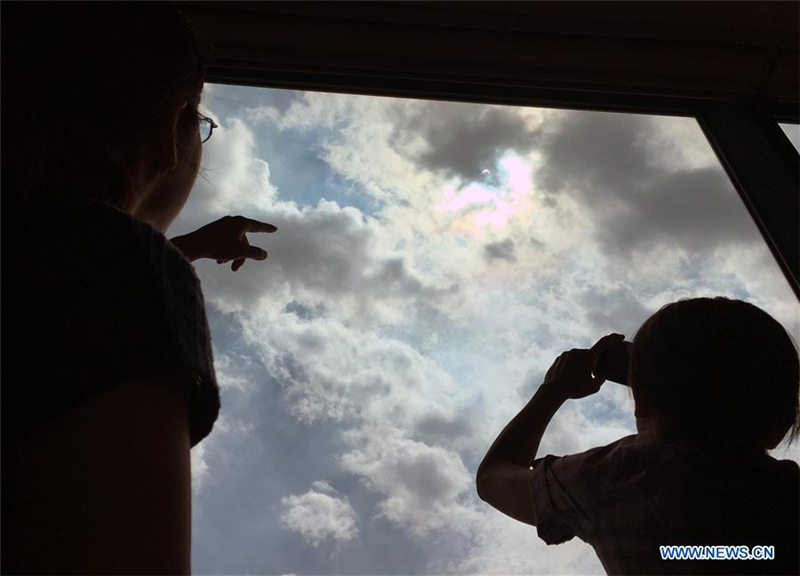 来源标题：Once-in-a-century total solar eclipse sweeps across U.S.